Some of my favorite childhood memories include dogs. 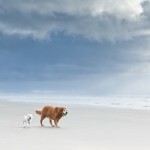 Which is probably why this session from pet photographer Mandy Whitley makes me so happy. 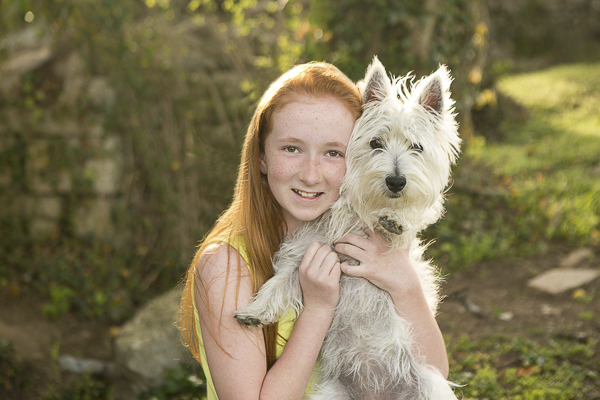 Roxie, the West Highland Terrier, and her favorite person, Riley, seem to share a very special bond. 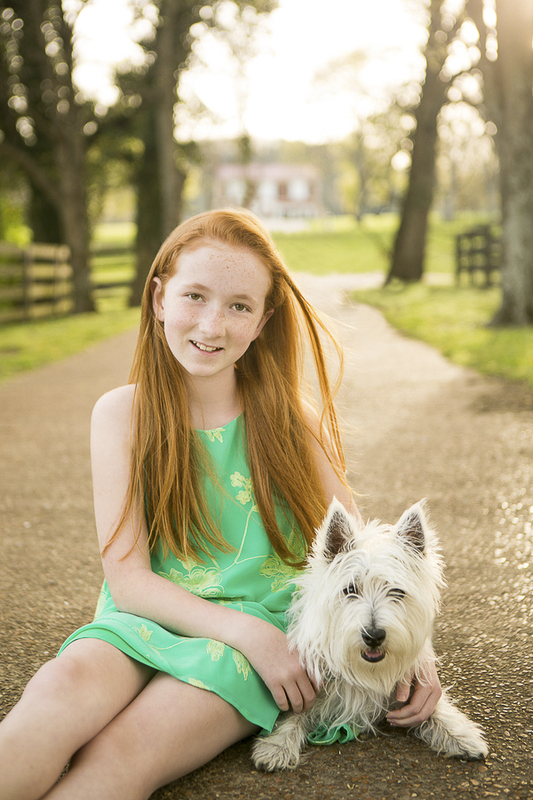 From Mandy: “Riley’s parents wanted to capture her 12th birthday and her pup’s 1st birthday in a photo session that we did at Smith park outside of Nashville. You can clearly see the love these two have for each other. 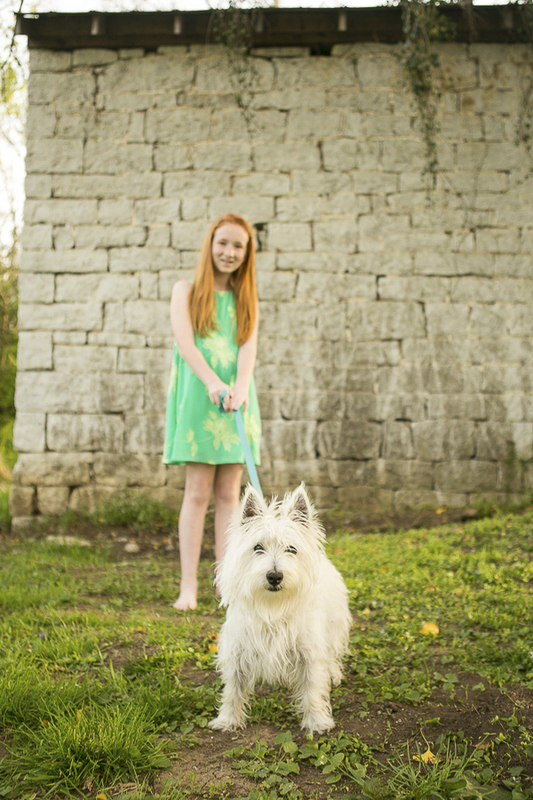 You can see more of this adorable duo on Mandy’s blog. 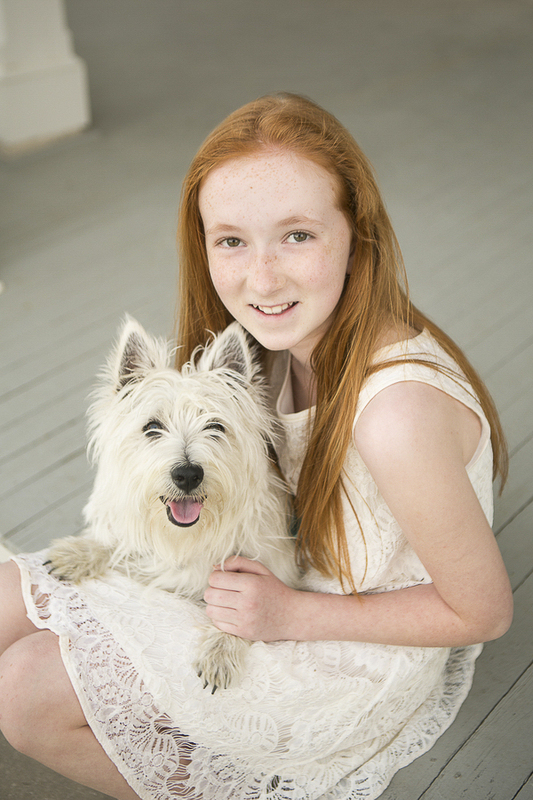 About Mandy Whitley Photography: Based in Nashville, Tennesee, Mandy specializes in photography for pets and their people. Riley and Roxy are the perfect pair! Both so beautiful and these photos are striking! I love them and they will have memories for a lifetime of this day! They are wonderful together! Riley’s parents are so smart to have gotten these photos. What beautiful pictures and what wonderful memories with them. I wish in those days we had cameras like today when I think back on the pets I had as a kid. I wish I had photos like that of the dogs I grew up with. These photos are beautiful. 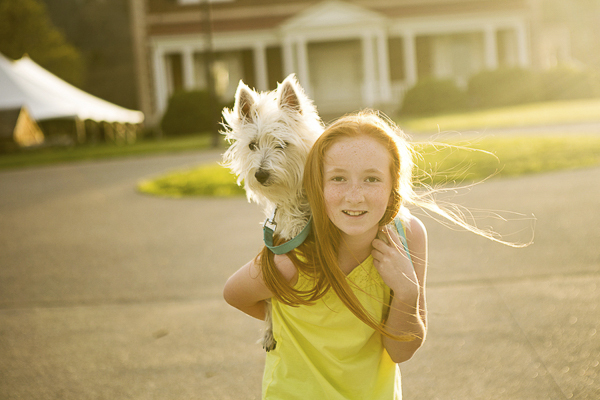 I love the lighting and how we can clearly see the love between child and dog. Amazing! 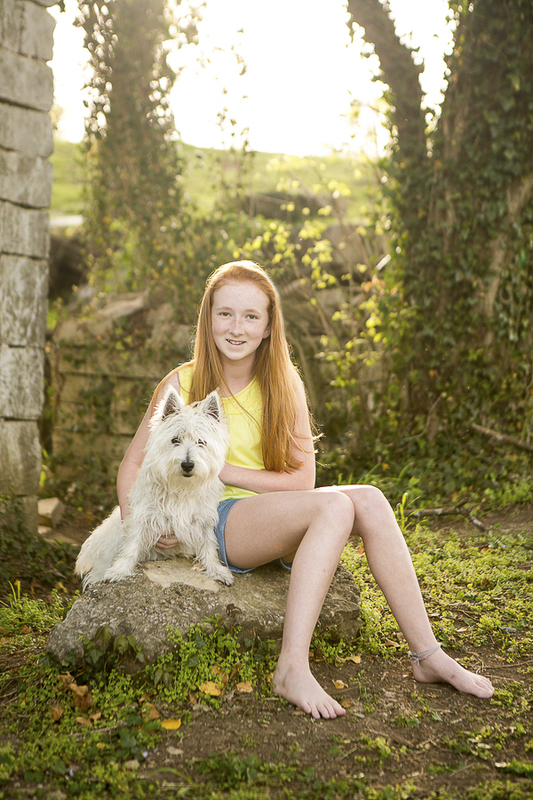 What wonderful memories Riley will have of Roxie, such lovely photos and the love really shines through! I wish every kid could have photos like this! What an awesome pair. Yes, you can see the love they have for each other. Heart-warming. Such gorgeous photos. Mandy’s location spotting skills are impressive. 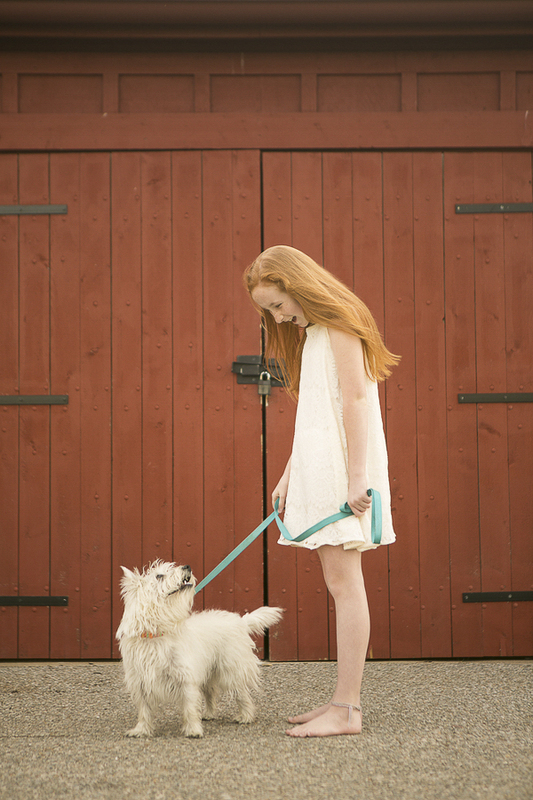 That barn door is a gorgeous background for the white dress and pup and perfectly compliments Riley’s hair. Imagine if Riley did her wedding photographs there or against a similar barn door. I agree with you, Mandy has a great eye! What an awesome photo session! My childhood dog Ginny was my Heart Dog, but sadly there are so few photos of us together or even of Ginny by herself. I can’t tell you how much I wish my parents had the forethought to take photos of us with Ginny in the pictures. Riley’s parents are really smart & so thoughtful to do this, I know she will treasure these beautiful photos for the rest of her life. These photos came out so great, they really capture the love perfectly! I wish I could find the few photos we had of our family dogs. Riley’s parents scored big in the thoughtfulness of these photos, definitely something to be treasured for a lifetime! These are phenomenal! I grew up with dogs, horses, cats, ducks, a bull, and we rehabbed a fox…I would have loved to had pics like this! 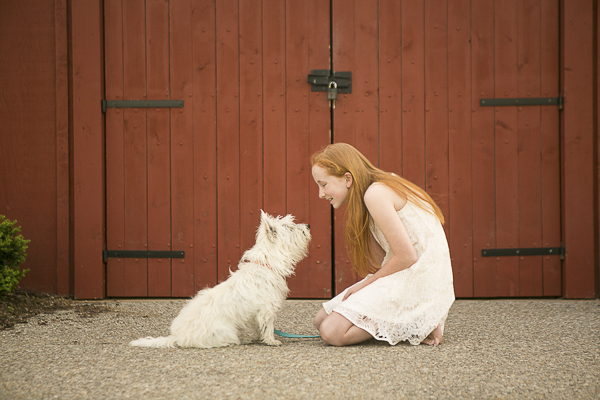 Pets were such a big part of my childhood and these are captured by Mandy beautifully. Two beautiful subjects, too! Thank you for sharing them with us! Wow, you really had a lot of animals in your life growing up! I wish I had the photos of my childhood pets too. I wish I had more photographs of my first pets who were dogs. I’ve found one photo of my first dog who was a collie and it’s in black and white. I wish I could find some photos of me with him. I know my dad took a lot of slides during that time, so I may never find them. It is so lovely to see this partnership. here pictures will be such a treasure in the future as Roxie matures and her mistress Riley grow into a wonderful woman. I love this. I have some childhood pets that I wish I had proper photos of … rather than badly taken snapshots. I love that one with the sun shining … magic.